The strategic aspect of Space editor lies in reading and managing multiple conditions such as temporal and geographical conditions. With good strategy, even incidental developments can be put under control. As each player formulates their own strategies, you can feel the depth of the game like when you play chess. 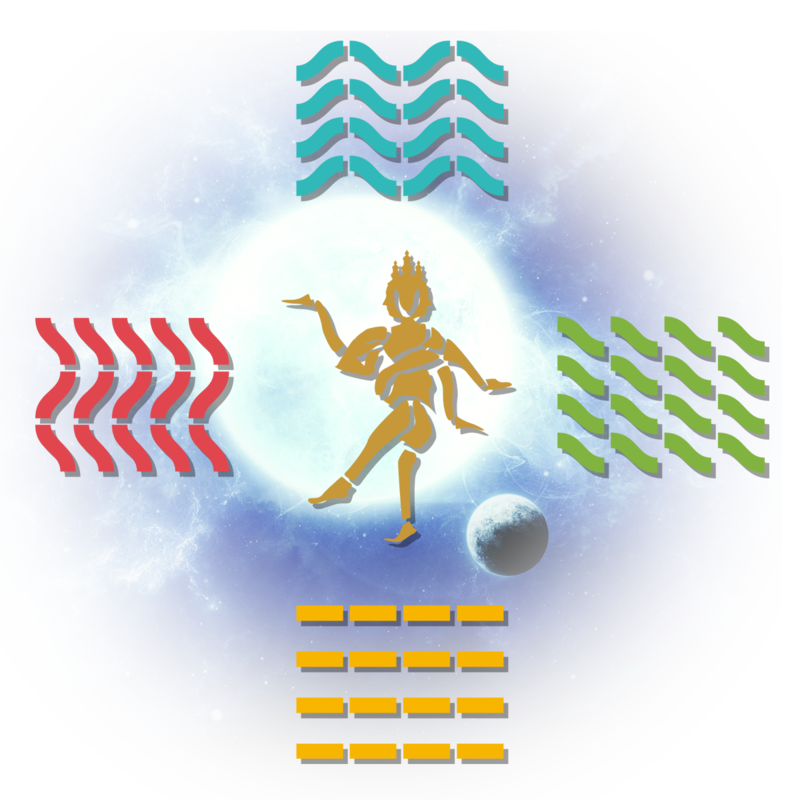 Each player becomes an incarnation of a god that governs one of the four elements: water, wind, earth, and fire. 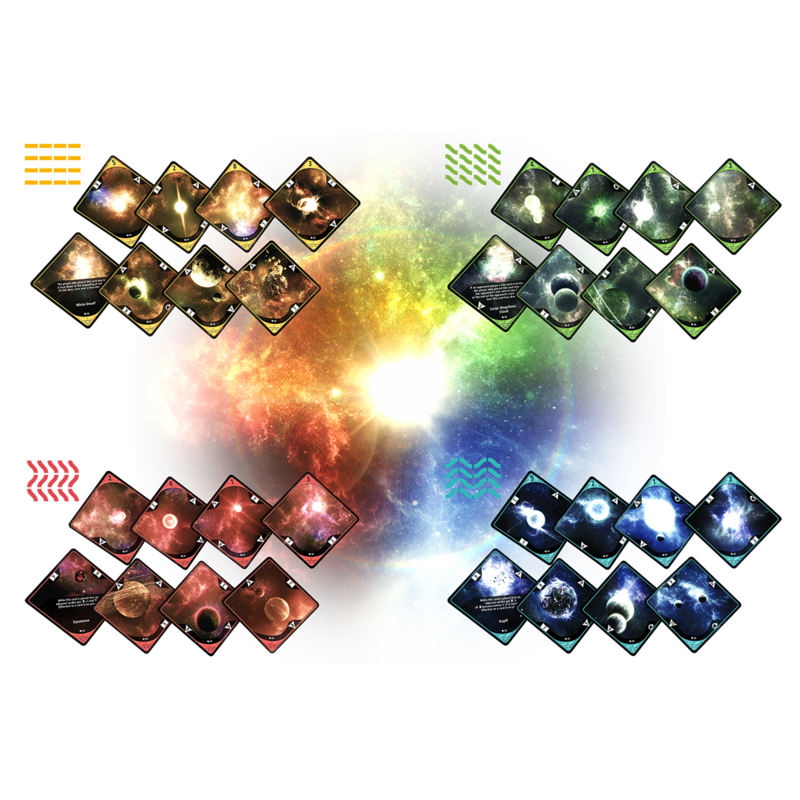 Players take turns placing planets and stars with energy as powerful as God. You have to read stars like an astrologer and advance the game so that the element you govern has the strongest control. 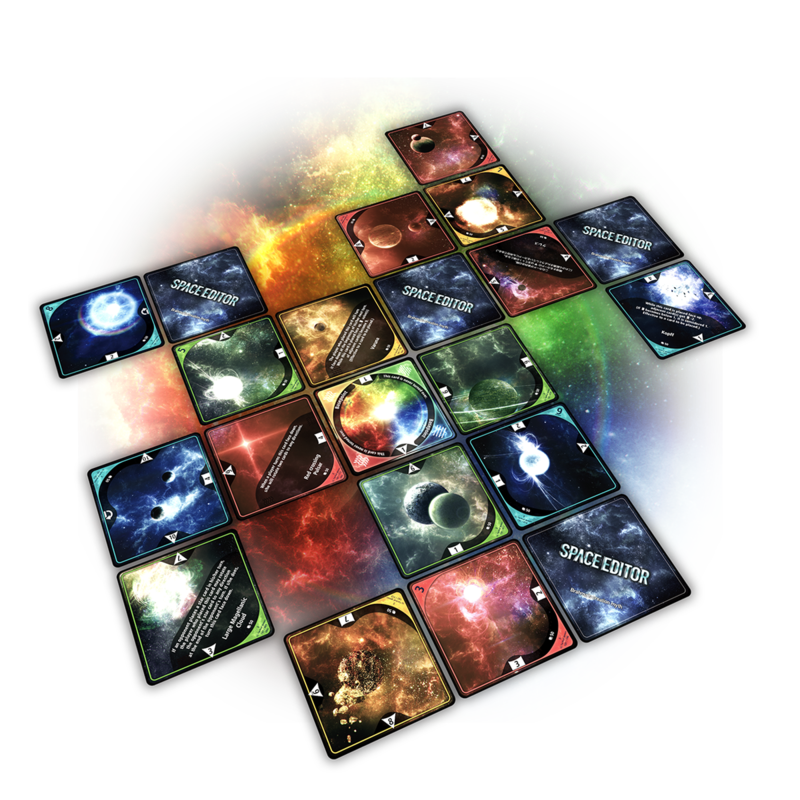 One universe will be created as each game finishes. The player who governs the most dominant element in the universe is a winner. 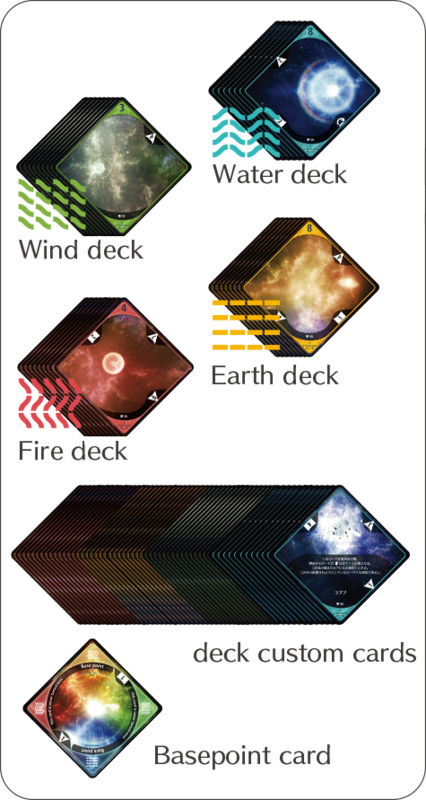 Each player chooses one of the four elements: fire, wind, earth, and water, and start a game with a deck of cards of the chosen element. Each card has characteristics unique to the element it represents. The more games you play, the better you will be at building strategies. We decided to start a Kickstarter campaign to raise funds for the production cost. 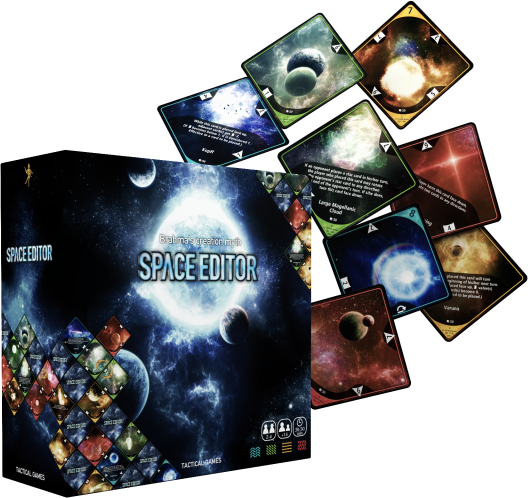 This will be a good opportunity for people all over the world to know about Space Editor, and we hope the community created by crowdfunding will grow bigger and bigger. We believe that communication and conversation which take place in the community will improve the quality of the game. Our goal is to become closer to players and grow and expand Space Editor together with its community. In addition to a copy of the starter pack, we are preparing various rewards such as sticker sheets, art book, etc., which are only available at Kickstarter. 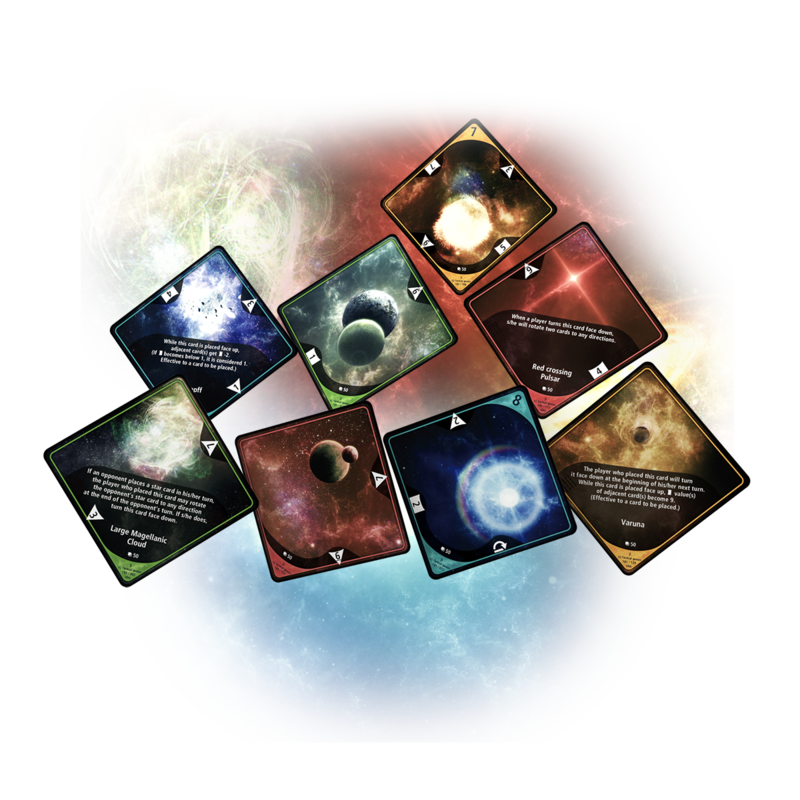 We are also thinking about developing users' original cards and adding backers' names in the credit. 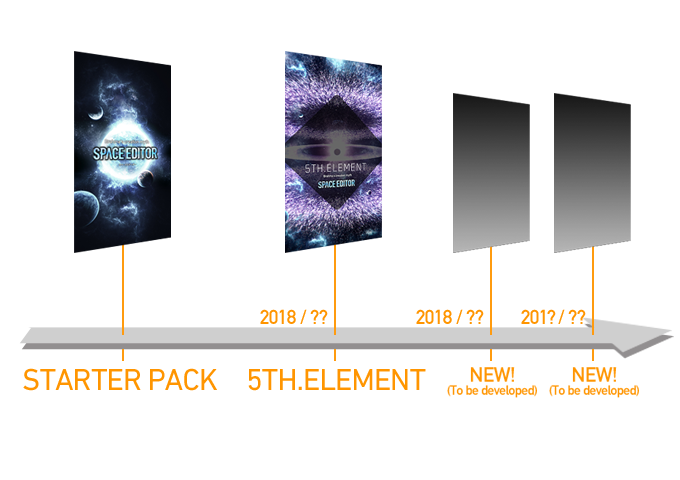 Kickstarter-exclusive graphics, upgraded package and contents, purchase proof serial-numbered card, etc. 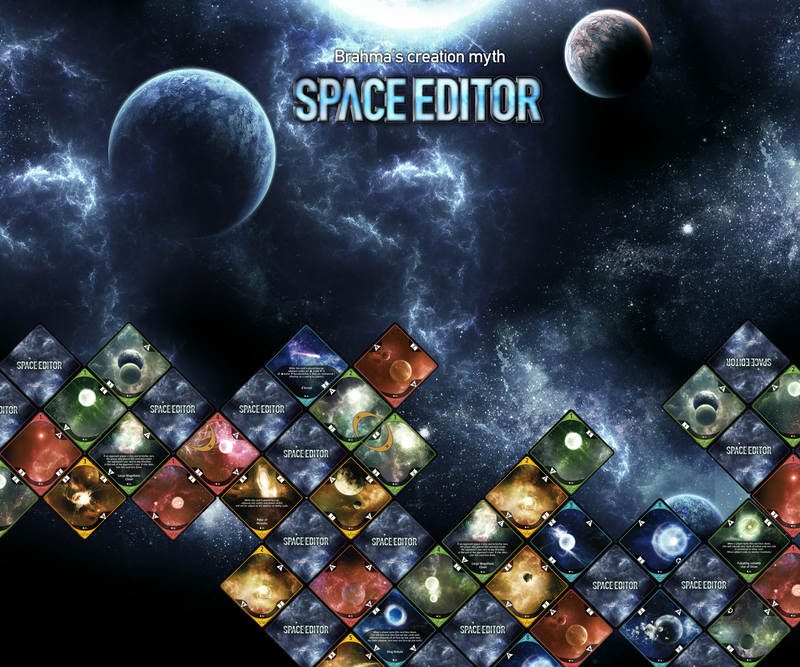 We are planning to develop three expansions of Space Editor. The first one, "5th.element", features the vicious fifth element which does not appear in the starter package. 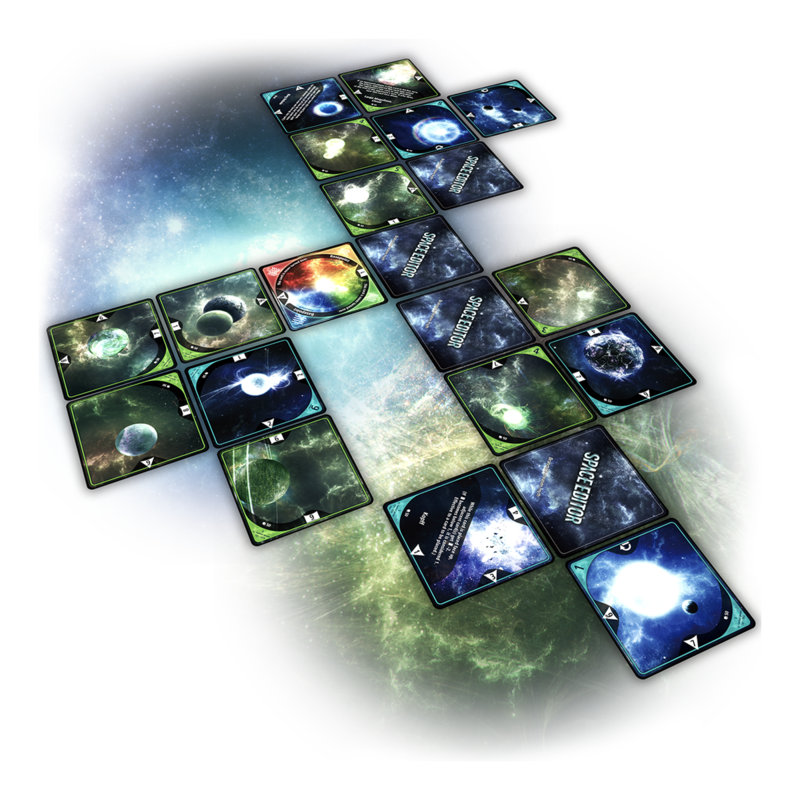 The second expansion unlocks new gods who do not appear in the starter pack. In this edition, the gods will become closer to players. 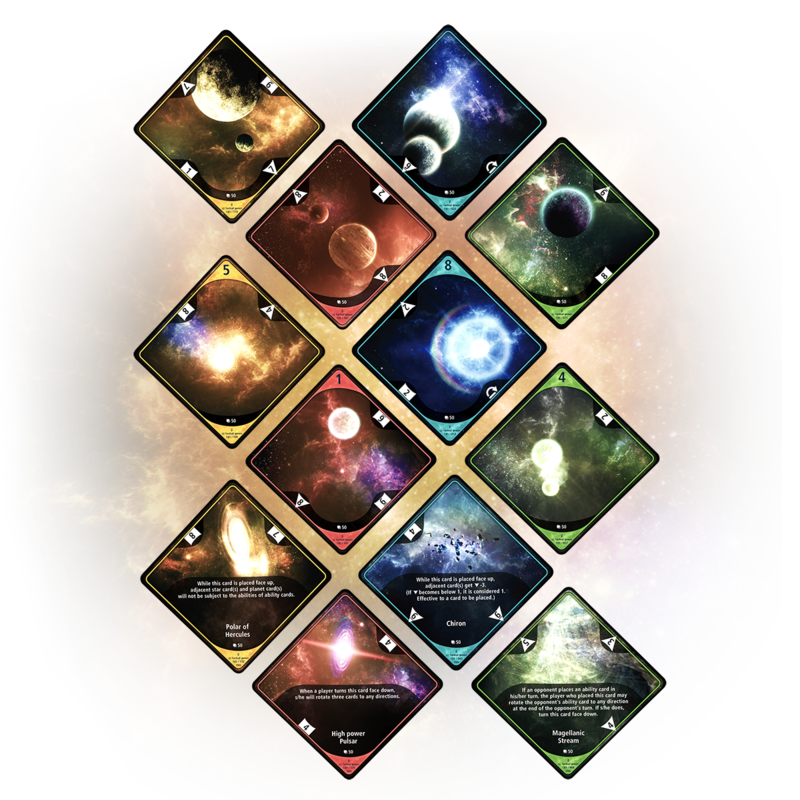 In the third expansion, life born in the universe will evolve and come to control stars with their prominent technology. This will be the beginning of a new creation of the universe. WANT TO KNOW MORE ABOUT SPACEEDITOR? 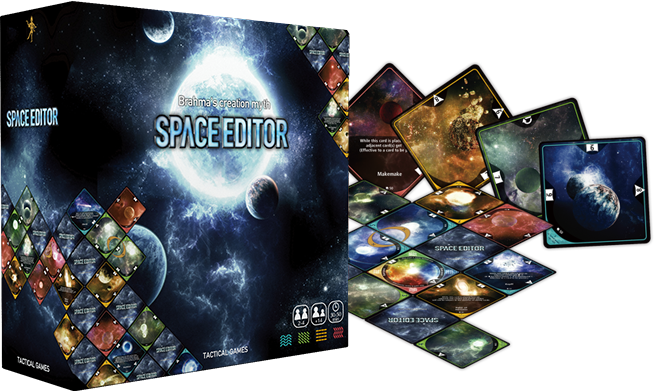 We welcome reviews and articles about Space Editor so that more and more people will know about our game. We will answer to your questions if you have any. A press kit including a playable beta version of the game is available. For more information, please see the details below. Our mission is to develop and produce high quality fun games, in both digital and analog formats. It is our goal to produce high quality games which are not only enjoyable but also have beautiful visuals and to constantly release games that will be loved and played by people all over the world for many years to come.